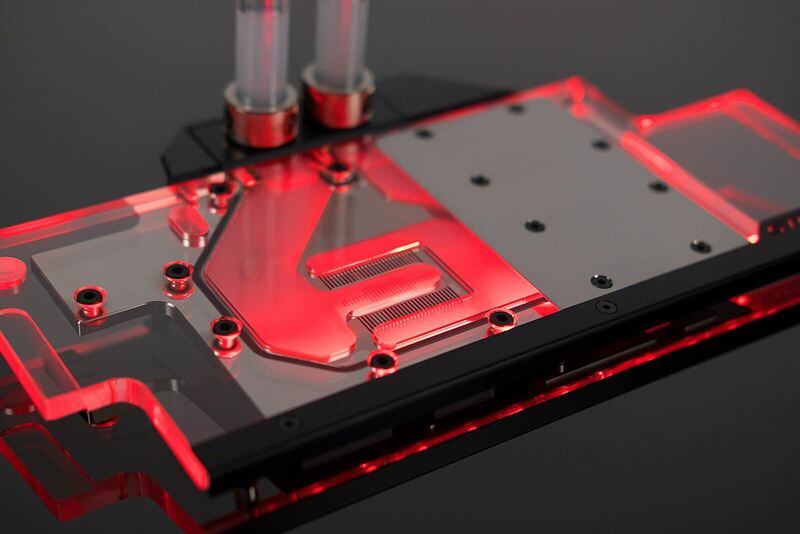 EK® recommends the purchase of a retention backplate which improves the aesthetics of your graphics cards, but also provides additional passive cooling to the GPU core and circuit board VRM section. 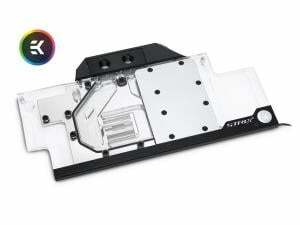 The EK-FC1080 GTX Ti Strix RGB water block is backward compatible with EK-FC1080 GTX Ti Strix Backplates. For users that own the altered version of the ASUS ROG Strix GeForce® GTX 1080 Ti PCB (GPUs with serial numbers: HBYVCM064817 - HBYVCM999999, HCYVCM000001 - HCYVCM059975), there will be a new EK-FC1080 GTX Ti Strix Backplate Rev 2.0 available soon! G1/4" threaded fittings can be used on both sides of the FC terminal and for multiple GPU connectivity, please refer to our offer of GPU Terminals. The block also features a special plastic cover over the block Terminal. 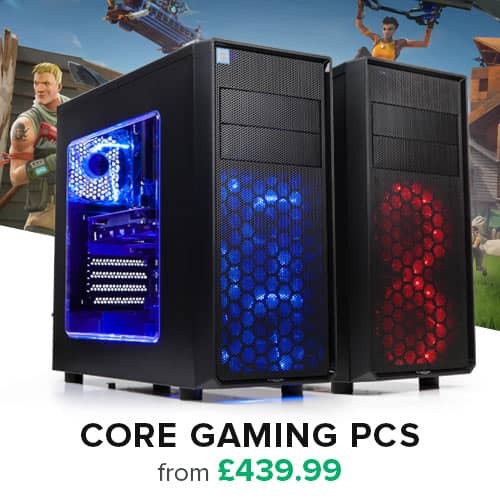 This add-on is designed to reveal the graphics card model, visible from the side. 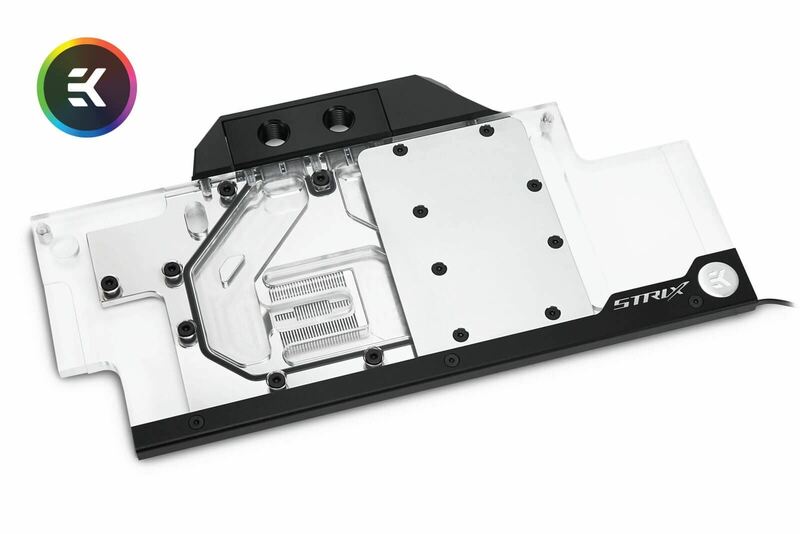 The terminal cover is removable, it is fitted with 2 screws from the side.